Can you believe it’s almost 2012?! Before you toss that 2011 calendar take a look back at Dorchester’s debut authors of 2011. Check out these great newcomers to the Dorchester family! A fresh face in the thriller genre is Chuck Hustmyre. What’s a Harley Davidson-riding, retired ATF special agent to do in the off season? Write a fast-paced crime thriller, of course! If you like cop drama, then you’ll love Hustmyre’s books! His back-to-back 2011 releases are both set in The Big Easy and tell the tale of detectives caught on the wrong side of the law. Pick up Hustmyre’s House of the Rising Sun and A Killer Like Me today! John Everson: NaNoWriMo winner and inner-critic squelcher! Packed with drama, suspense, and even a prize t-shirt, the NaNoWriMo challenge entices the best of us. John Everson tells all in this full spread companion post to his snippet of writer’s block advice on last week’s NaNoWriMo series. Did you know that most of his second novel, Sacrifice, was written during the NaNoWriMo of 2002? John is living proof that all aspiring writers should try tackling so worthwhile a challenge. Now sit back with that double espresso, clear off the empty energy drinks from your desk, and settle in for a true success story. Throughout the ’90s, I was mainly a horror short story writer. I published dozens of short pieces in scores of tiny magazines and anthologies, and they were fun and easy to knock out— a couple hours on the weekend and they were done. But over the course of five years, I had also slowly developed (over many stops and restarts) my first novel, Covenant. I finished the first draft in 2000, and spent the next couple of years trying to sell it, being rejected, going back and trying to polish it some more, then sending it out yet again. By the end of 2002, I still had not sold that first novel, and hadn’t started a new novel in the 2+ years that Covenant had been languishing on many slush piles. All writers know that the worst thing you can do is finish a project and then wait for it to sell before starting the next one. You need to get back on the horse. And it had really been seven years since I had started a novel project, since Covenant was begun in 1995. I knew I needed to either decide that I was just going to stick with short fiction, or I had to begin a new novel, whether the first one ever sold or not. Someone steered me to NaNoWriMo that fall. The group wasn’t quite as ubiquitous in 2002 as it is today—it was just three years old—but it was growing in leaps and bounds each year. I liked the fact that, unlike many writers critique groups, it was strictly a solo challenge. You either made your 50,000 word deadline or you didn’t. People could join together at coffeehouses and commiserate or cajole each other, and there were message boards to help connect, but you didn’t need to. I’m a pretty independent creature in that sense and wasn’t interested in the community aspect of the challenge. I just needed the writing challenge. And the hard deadline. Just one problem. My day job pretty much owned me the first week of November 2002, because I had to work a convention (anyone who’s staffed a national convention knows that after those 14-16 hour days, there is nothing left of you but a husk that needs sleep). So I began my NaNoWriMo challenge already exhausted and a week late… leaving me just three weeks to write 50,000 words. And in October 2002 I didn’t even really know what I wanted to write about. But while I was out of town during that start of November, I figured it out. I wanted to do a really stupid thing—I wanted to write a sequel to my first novel, the book I couldn’t sell! I had a whole different kind of story I wanted to explore within the world of the first book, so I knew the second novel, while a sequel, had to be self-contained, in case the first book never sold. Somewhere on or around November 8, 2002, I wrote the first chapter of Sacrifice. I realized quickly that in order to meet the November 30th 11:59 p.m. deadline, I had to average more than 2,200 words per day for the next three weeks. The admonitions on the NaNoWriMo website were key to achieving that—edit later, write now. I still find myself whispering that advice to myself today when I start slowing down on a project. Squelching your inner critic is probably the hardest thing a writer can do. The inner critic is the voice in the back of your head that says everything you’ve just written… or wrote yesterday…or are about to write is utter tripe. Your inner critic can make you stare at a blank screen for those few precious hours you have allocated for writing, or it can make you waste 45 minutes wrestling with a single sentence or paragraph that just doesn’t feel right. Your inner critic is your biggest enemy to rampant productivity. And rampant productivity is what NaNoWriMo is all about. I didn’t have an outline when I started the book— this was a seat of the pants endeavor. I really only had a vague idea of where it all was going. But every couple days I took a few minutes to “backwards outline” what I’d done before, so I remembered the crazy things I was coming up with so I could tie it all together later. Because when you’re forcing that word count, you come up with all sorts of weird ideas and plot departures at 11:45 p.m. that you don’t even remember writing the next morning. In the end, I got 50,000 words of Sacrifice written (about 2/3 of what the final novel would become) in three weeks, working right up to the last minute. I uploaded my file, and it was validated. I have the t-shirt to prove it! I also was sick with a horrible cold for the next two weeks because I had burned the candle at both ends for so long. But it was something I wanted to prove to myself I could do. I proved that I didn’t need to take five years to write a novel. I worried that I’d written 50,000 words of crap, and honestly, it was months before I re-visited the project to find out. When I did, I spent 2-3 months writing the other 40,000 words, and found to my surprise that I actually didn’t need to change much in that first half. By gagging my inner critic and just forcing myself to write and not critique, I’d set loose creativity that might never have surfaced if I’d tortuously over-thought the book. I honestly think that Sacrifice is the better novel of the Covenant–Sacrifice duo, though it was written the fastest of any of my books. I’m now finishing up my 6th novel, and I have to say, I still think Sacrifice may be my quickest moving book. And that’s got to relate in part to the environment it was written in. So what happened to the books? 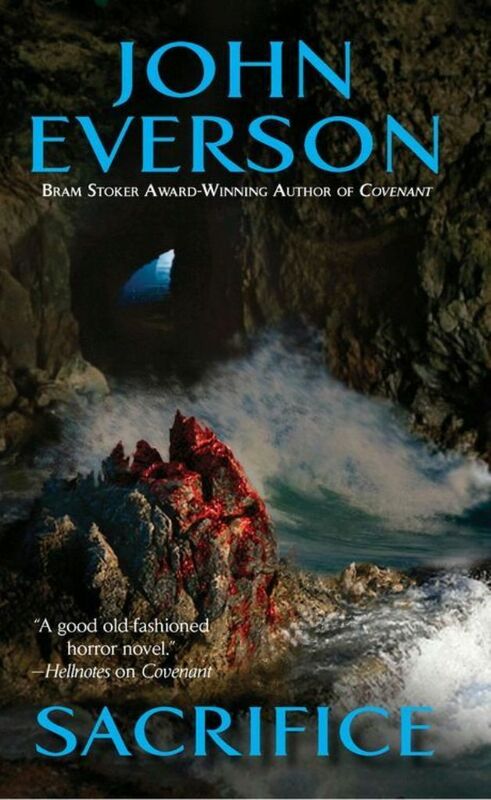 Covenant won a Bram Stoker Award for a first novel thanks to a small press release in 2004, and both Covenant and Sacrifice were sold in a two-book deal to Dorchester’s Leisure Books imprint in 2007 and released in mass market paperback in 2008 and 2009 respectively. It was a happy ending! I’ve never taken the NaNoWriMo challenge again. I don’t need to—I know I can do it. And I still use the lessons I learned that month to this day. I don’t write books in a month, but I’ve never taken over a year to produce a novel again. NaNoWriMo taught me how to silence—or at least stifle—my inner critic. If you just start running, you don’t have time to study and get lost in the cracks in the sidewalk! Now if that story doesn’t inspire you to tackle NaNoWriMo with four weeks to spare, I don’t know what will! Four days into NaNoWriMo and everything is moving swiftly. Your characters are championing outrageous obstacles, your setting is a dizzying hybrid of dystopian delight, and you know this is the month everything falls into place. And then, inexplicably, it happens. Your inspiration loses steam and you’re left wondering if that pesky, sprite of a muse will ever return in time to fill the 1,670 word deadline for the day. Worry not, travel-worn bloggers! Four of Dorchester’s authors detail how they address these concerns, and thus, offer writers a bit of advice. We thank Rose Lerner, Graham Masterton, Caitin Rother, and John Everson for their time! Rose shares her own experiences with traversing alternate writing channels as a way to alleviate the block itself. I had [writer’s block] for a long long time after my mother died. But the thing is, it wasn’t really writer’s block. It was historical romance block, because that was always something I shared with my mother. I wrote A LOT during that time, but I wrote romantic fanfiction for TV shows. I was able to get excited about that because there was a built-in community and audience to share it with. And when I was finally ready to dive back into historical romance (or rather, fall flailing back in: it didn’t happen naturally, it took a giant shove), my writing muscles weren’t rusty and I’d learned a lot in the meantime. So I think if you’ve had writer’s block for a while, you need to sit down and figure out why. What’s missing now that used to get you so excited? Is there something else you still feel that way about? Give yourself permission to write whatever the heck you want. Keep writing and practicing your craft. Give yourself time—but do force yourself to come back to your original idea every so often and see where you’re at. Graham takes the straightforward approach when it comes to his craft! I was trained from the age of 17 as a newspaper reporter and then spent the next 10 years being a magazine editor, and in those jobs you simply don’t get the time or the opportunity for writer’s block because you are always working against a deadline. Nowadays I have more ideas for books and short stories than I will ever be able to complete in my lifetime. I know some writers like music in the background, but I prefer silence. All the sound comes from inside my head. My advice to anybody who wants to write is just to write, whether you feel in the mood or not. I currently have two protégé writers, and I am very hard on both of them. Get on with it. Stop being pretentious and get something down on the screen, even if you delete it all later. After detailing her busy writing schedule earlier this week on the blog, Caitlin elaborates on how to combat the nasty writer’s block bug. […] I honestly don’t have time to have writer’s block, but if I do run into a wall, I simply switch gears and either mull the problem or let my subconscious work on it until I’m ready to give it another shot. Last but by no means least, the following is an excerpt from John’s successful foray into the NaNoWriMo challenge, which kick-started his second novel back in 2002. Tune in Monday for details! How do you weather the tides of inspiration? Reply for your chance to win a nifty tool every writer needs to succeed! Or rather, throw at their monitor when the going gets tough. I know I certainly need one of those. Insurrectionizing the insuperable writer in you + prize package! Let’s write! Crack those knuckles and consider the following, oh lascivious lovers of the written word. As I know I’m among good company here on the Dorchester Community Blog, I can readily confess that my research into the world of providing prompts has thoroughly inspired me to share in this treasure trove. There were two Web-sites in particular that yielded exceedingly helpful results! One-word prompts are a fun and easy way to generate tantalizing possibilities quickly and, perhaps most importantly, efficiently. Word Dynamo is a program that challenges the breadth of your vocabulary and, in the process of taking the test, broadens your knowledge! Take, for instance, the word typy. I merely concluded the impossible definitions, thus narrowing the field to two possibilities. Really, it was a lucky guess! Did you know it means “(of a domestic animal) embodying the ideal characteristics of its variety or breed?” I certainly didn’t. For more specific prompts, try the Random Word Generator! I can’t tell you how fast my commute went simply by browsing endless combinations of obscure transitive verbs (my personal favorite). As the title of this post may suggest, my foray into the English language yielded insurrectionizing, which means “to rouse (a person, group, or people) to insurgent action.” Who knew? Perhaps you did—thus, I bow to your far superior level of expertise. How did you measure up against the forces of the dictionary dynamo? Do word prompts help or hinder your writing? Reply in the comments for your chance to win a prize package worth over $30! ‘Keep it Moving’ says Caitlin Rother! Ah, National Novel Writing Month (NaNoWriMo to those in the know), you irresistible siren of the proverbial seas. Clearly, it seems as though everyone is mustering their courage with the intent of braving this literary beast, even one of our very own. Go-getters everywhere, may you succeed! We are all supporting you on your quest for word count glory. To celebrate, Dorchester will be serving up tips from published authors, tricks of the trade, and enough side dish prompts leading up to the pièces de résistance. First up on the menu, Pulitzer-nominated investigative journalist and New York Times bestselling author Caitlin Rother discusses her writing process and how she manages her busy schedule (creatively, might I add)! As a full-time author, I’m often asked about my writing routine, if I write every day and how much. The answer is that some days the only writing I do is emails and in my journal because much of my job is juggling cats to make sure I have money coming in so I can keep my job and the freedom it provides. Other days, when I have a cappuccino, for example, I might write for 12 hours straight, taking breaks only to use the restroom or to eat (not at the same time) because I’m in the zone. Most days, I write best during the time slots I know my brain does its most creative work, and that’s a finite number of hours on a non-cappuccino day. I find that a built-in routine, which includes several changes of scenery and multiple shifts of the task at hand, really helps me to work longer before I get too tired to do anything more. That means e-mails and Facebook first thing in the morning, possibly some rewriting to prepare for a late morning interview, then a breakfast break at the local bagel place, which I consider my second “office.” There, I read research materials or edit on paper as well as plan, think, write a rough handwritten draft of a blog, visualize scenes and, most importantly, perhaps, dream big. I’ve always got to have at least one project in the hopper. Thinking is an important part of being a writer, and I often do my most fruitful thinking while I’m out for my late afternoon walk or swim, in the shower, or in the car, where I may talk out loud and thanks to Bluetooth, no one thinks I’m crazy anymore. After the bagel place, I go home to either make calls, do an interview or write for a few hours, then I take my exercise break. I try to do one more session of writing, editing, e-mailing or arranging interviews (by the media of me to promote my books and of research sources by me to write the books). All of this juggling is important to keep this job and churning out books. 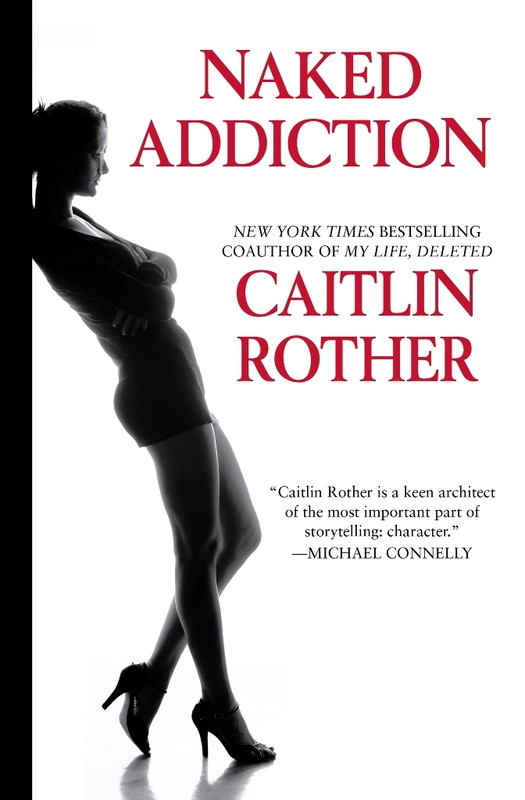 I’m now working on my ninth, a spin-off to my first novel, Naked Addiction, which will be released for the first time in trade paperback in January 2012. For more information on Caitlin Rother and her award-winning novels, stop by her website! Sarah Pinborough: The woman behind the terror! 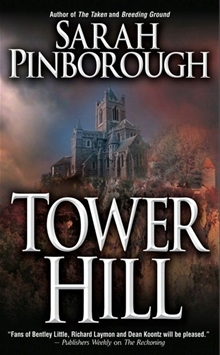 We finish out the month of AH!-Tober with British female horror author, Sarah Pinborough, the mastermind behind books like The Hidden, The Reckoning, and Feeding Ground. Yesterday we featured a first chapter excerpt from Breeding Ground; it’s on shelves (physical and electronic) now, and is a great read for Halloween. Today we’re lucky enough to feature an interview with this horror legend. Get your Deet and Raid ready as we get to know a little more about Sarah, her writing techniques, and tips she has for aspiring authors. Welcome Sarah! Thanks for joining us! 1. What made you pick spidery creatures for your books Breeding Ground and Feeding Ground? I know you’re a horror writer, but are there creatures like spiders that creep you out? What’s your Achilles’ heel? I can’t actually remember why I chose spiders (the book was written a lot of books ago for me now;-)) but I think it was because they have a tendency to freak people out. And I can think of nothing worse to grow inside me! It’s strange that even in England where our spiders are harmless, people are still terrified of them. Personally they don’t scare me as such but I do shriek if they move too fast. However, I never kill them, just catch them in a glass and pop them outside. 2. I was really impressed with how seamlessly you voiced Matt, the protagonist in Breeding Ground. As a female author, was it difficult to write from a male perspective? Any tips to your fans and writing audience on writing for a different gender? I nearly always write from the male perspective—or have a male lead. I’ve just finished a trilogy for Gollancz where nearly all the main characters are male. But then, nearly all my friends are male and I’m not a very girly-girl. I’m not married and I don’t have children nor am I interested in shoes and handbags etc. So I guess maybe on some levels I think like a man anyway! I can’t actually think of a tip for it. I would just say it’s more important to know your character and how they would react in any given situation. If you have that, then the gender should fall in line. 3. In Breeding Ground, I was really pulling for John and Katie, and truly disliked Nigel. How do you name your characters? Do you pull from names of friends or family members? How do you develop their personalities within the story? Do you tend to map out the characters’ relationships to each other first, or let it develop as you write the manuscript? I always steal names from real life. Normally one person’s first name and then someone else’s surname. Before I became a full-time writer (nearly four years now! Yay!) I used to use the names of students I taught at school. Now I tend to steal them from Facebook and Twitter. I never map out the relationships between characters, nor do I really think that much about any of them before I write them, apart from the protagonist and antagonist. They tend to develop along with the story. 4. The setting in Breeding Ground is your hometown, Stony Stratford—how cool! Did you visit home while you were developing this manuscript? Is there really a Hanstone Park in Stony Stratford? I was only living a mile or so away when I wrote the book so it was easy—partly why I set it there. And Stony is such an epitome of the quaint English village. I also set The Reckoning there but I changed all the names of places, but the layout is the same. As for Hanstone Park, there is a Hanslope Park which is the Foreign Office’s communication centre. Very hush hush. Lots of barbed wire. My dad used to work there. 5. We’re coming up on National Book Writing Month in November, and I’m venturing to write a novel in 1 month… crazy, I know. How do you come up with your ideas for writing your stories? How long does it take you to write a book, and how many versions do you go through before you submit a manuscript? Gosh, the ideas question…I don’t think anyone can answer that. Although the more writing you do the more you start to ‘see’ ideas around you. As for writing a book, it really depends on what else I’ve got going on. The current book has taken longer than expected, but I was hired to write some TV at the same time, so of course that slowed me down. I like to get a book done in four months really, but that doesn’t include the thinking time. That’s from when I sit down and write page one. My next books for Quercus may take longer because they’re set in the nineteenth century and so will involve more research. I pretty much hand in my first draft. I plan a lot along the way so when I’m finished, the book is normally pretty tidy. I just go through and check my spellings etc. and then hand it over. 6. When and why did you begin writing? Breeding Ground has some super detailed passages, and quite a few lead characters—how do you keep up with it all without getting confused? I’ve always dipped in an out of writing since I was a child but my first novel was The Hidden, published by Leisure at the end of 2004 (thirteen books ago!). As for keeping track of it all—I have notebooks full of jottings, and if you write every day it’s quite easy to remember stuff. 7. If you could co-write a horror novel with any other author, who would it be and why? I’m not much of a collaborator really. I have a collaboration I am planning to do with someone who I’m a big admirer of, but I can’t mention it yet! 8. For those who haven’t read Breeding Ground yet, here’s some background information to help clarify this next question: the apocalypse survivors discover a special trait that’s linked between two characters, Rebecca, and the dog, Chester. I’m a huge animal lover, and I know you are too—check out Sarah’s blog to read about her cat, Mr. Effing! I loved the dog, Chester, in Breeding Ground, and was really pleased with the ending you wrote for the characters of Chester and George. Oftentimes, animals get lost in the plot or serve as background. Why did you decide to feature Chester so heavily in Breeding Ground? I think I needed to make amends for what I’d done to Teacher in The Reckoning! Actually, I’m just a sucker for pets, and I think they can often be a really good representation of pure goodness in a plot. Or innocence at least. I needed Chester to be a survivor, and therefore gave him the same trait as Rebecca (also enabling the rest to figure out the potential immunity), and we all root for pets in these instances. They’re a reminder of old lives when an apocalypse hits. 9. Recently you began writing YA Fantasy genre as Sarah Silverwood; how does writing YA Fantasy compare to that of horror writing? What do you miss most from horror when writing fantasy, and vice versa? Any advice to prospective cross-genre authors? What do you love about writing? 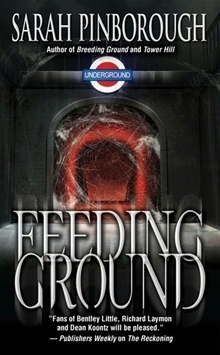 To be honest I haven’t written a horror novel in about three years (Feeding Ground was my last), most of my horror has been in short form. My adult novels have been crime with some supernatural elements (although I would say sci-fi rather than horror) and the YA as you mention is fantasy. But it has to be said, both series have been very dark so I’ve still got to play around with fear and the darker elements of fiction. 10. In the spirit of Halloween, Dorchester is asking spotlight authors to share a dare with your fans…got anything for us? She’s so interesting, right?! So, we’ve got about 3 days until NaNoWriMo begins! For those of you taking the plunge with me and are interested in writing a horror, you can definitely use some of Sarah’s tips! For the rest of y’all, if you’re in the need for a scare, Sarah definitely delivers! And don’t forget, be kind to the spiders; you never know when they may take over the world! 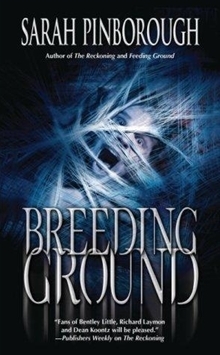 Leave a comment and be entered to win a copy of Breeding Ground!